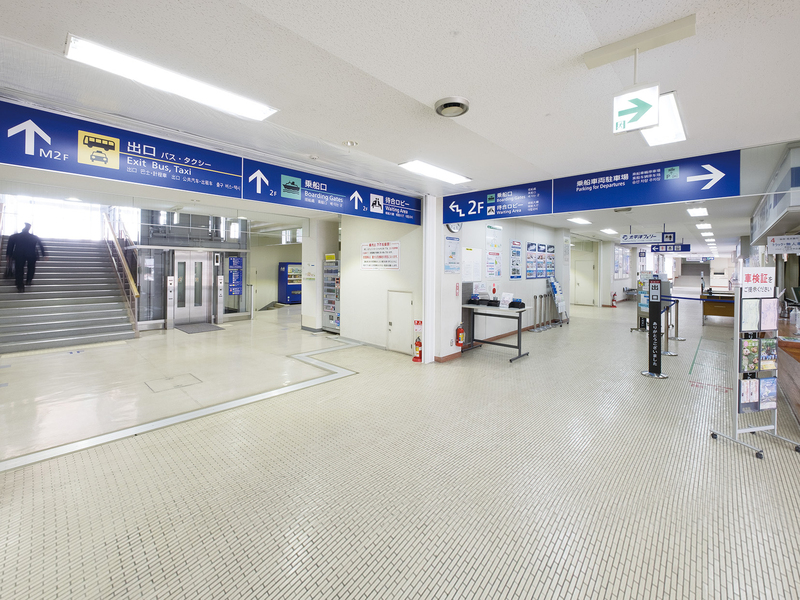 Tomakomai West Port Ferry Terminal | i Design inc. 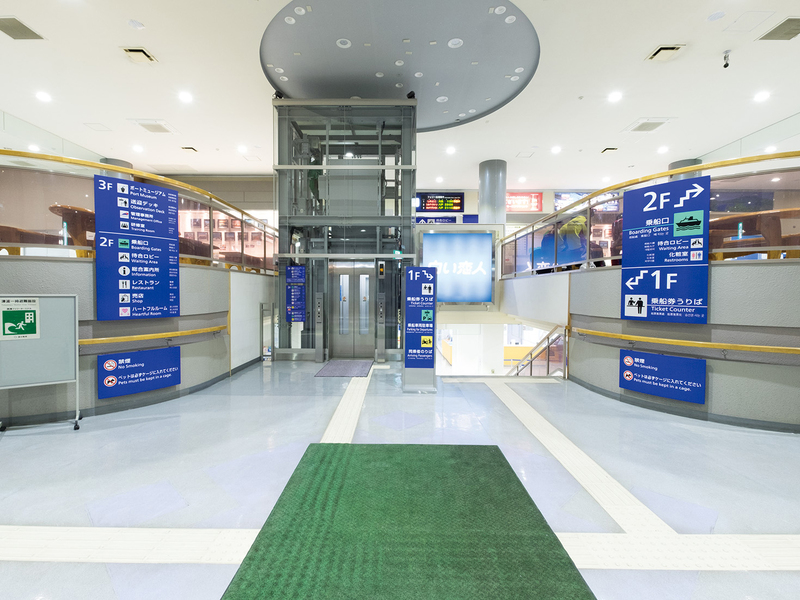 In the expectation of increase of visitors along with the Rugby World Cup in 2019, Tomakomai West Port Ferry Terminal in Hokkaido renewed the signages of its terminal. We specialized the pictograms such as the parking for departures, and displayed five languages－Japanese, English, Simplified Chinese, Traditional Chinese and Korean－. To make the complex route at concourse understandable, we have removed deteriorated signages then utilized the walls and smoke proofing barriers for the new signages.